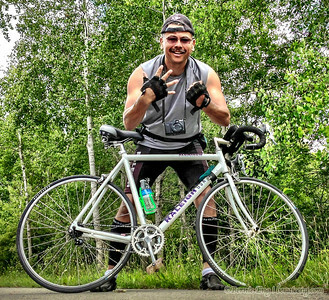 Biked 50 miles out of Midland, and back, for my first Century since 1995. 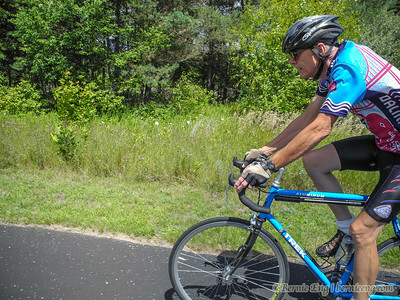 Jerry Smith cruises between Sanford and Coleman. 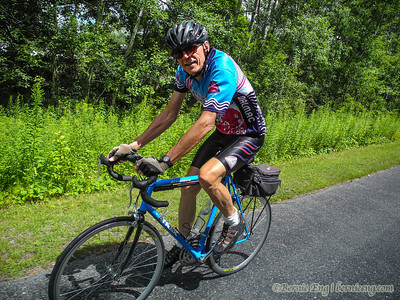 Jerry Smith cruises on Rail-Trail between Sanford and Coleman. 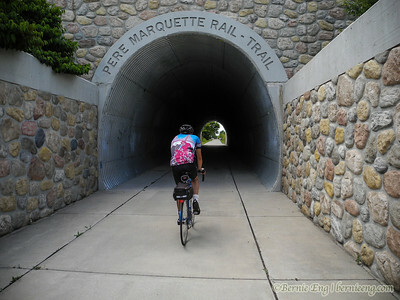 Jerry Smith rolls through the Pere Marquette Rail-Trail tunnel in Clare. 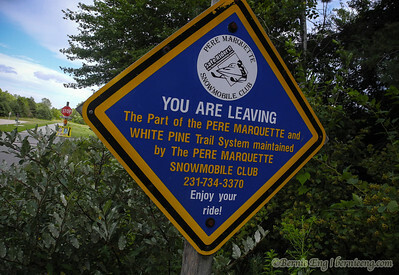 Jerry Smith and I stopped for a quick pic on the west end of the Clare tunnel on the Pere Marquette Rail-Trail. 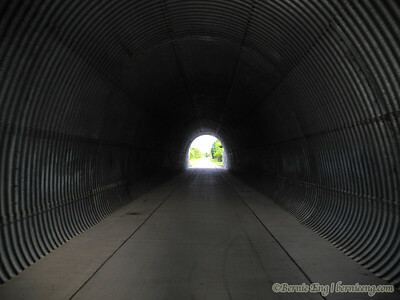 This tunnel was marked 2007 on the cornerstone. 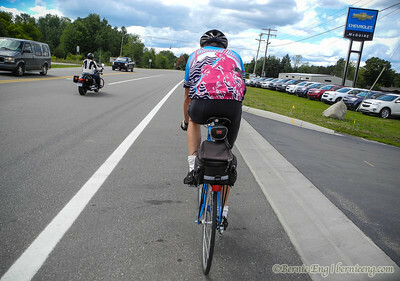 Spinning past McGuire Chevrolet in Clare. 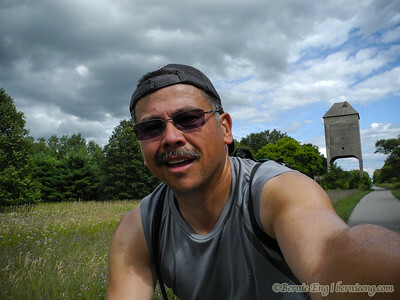 Rolling past an old railroad elevator of some sort at Lake Station in Clare County. 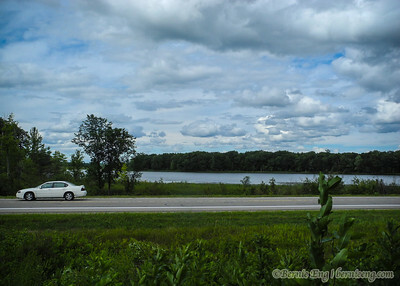 A bit of a Chevrolet Impala ad photo at what I think is Mystic Lake...or the lake across from Mystic Lake along US-10. 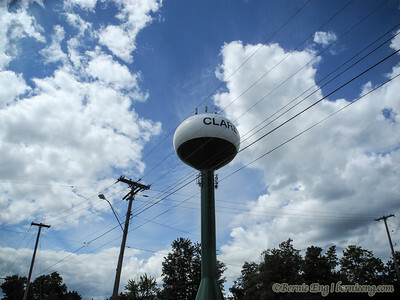 Clareola Avenue. 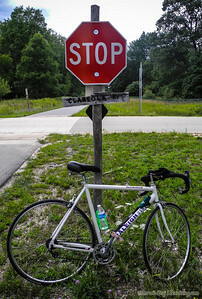 My guess is this is the county line of Clare and Osceola. 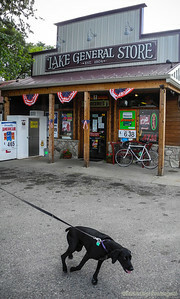 The Lake Village General Store and an impatient pup trying to ham it up on its walk. 5-0. 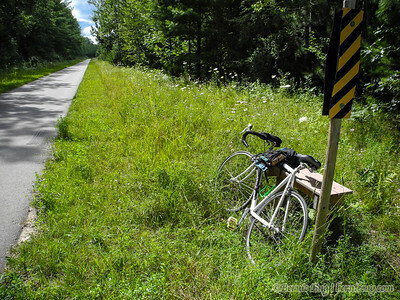 Somewhere in Osceola County I hit the 50 mile mark, and promptly turned around. 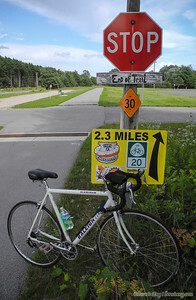 Five-Oh, halfway home. 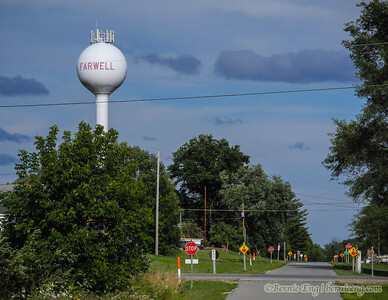 Farwell watertower and well marked traffic signs on the Rail-Trail in town. 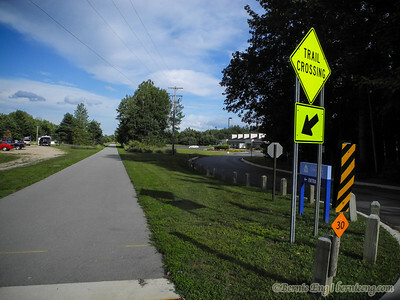 Interesting that this section of the Rail-Trail is also a snowmobile trail. End of trail...at least this stretch. 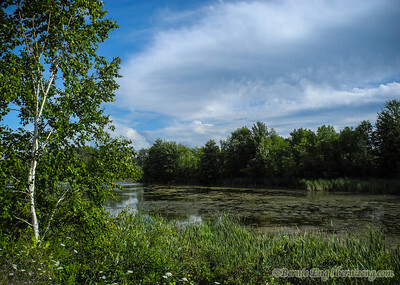 It's 2.3 miles of on-road, then pick up the trail again in Clare. 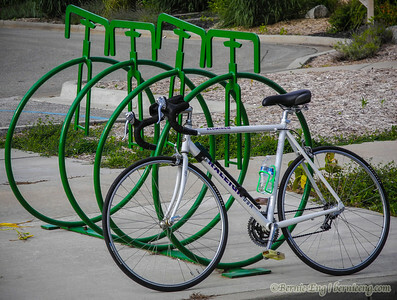 Cool bike racks at the public library in Clare. 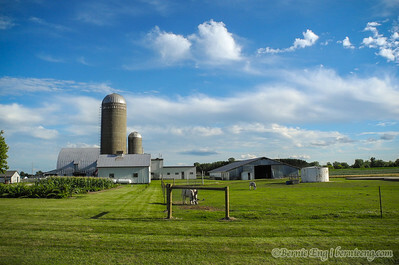 An Amish farm near Clare, Michigan. 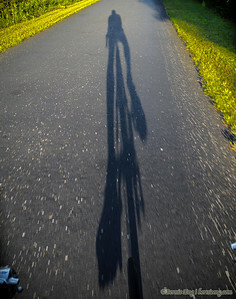 As the clock winds down on daylight, it's just me and my shadow. 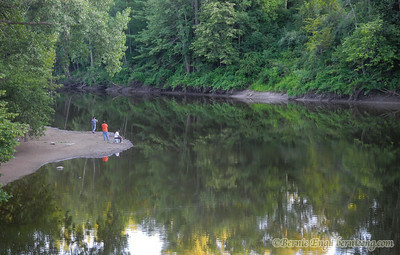 Anglers on the Tittabawassee River at Sanford, Michigan. Made it. 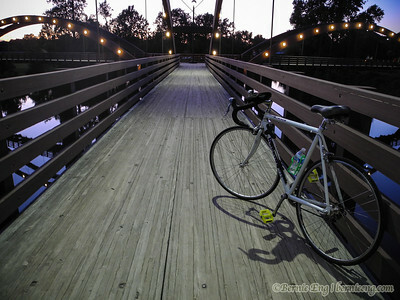 One hundred miles at the Tridge in Midland. The End.